Buy loose diamonds can be an investment for the future, so it’s best to choose diamonds that will hold their value in the long term. Although you may not be concerned about the resale value of your diamond at the time of purchase, you may be interested in selling your diamond or trading it in for an upgrade later. When buying a diamond, it is best to know what contributes to its quality and value to ensure that you make a sound purchase. An important factor to consider is whether to buy a natural diamond or a treated or enhanced diamond. Natural Diamonds Made from carbon, diamonds are the hardest known substance to man and are both a naturally occurring and manufactured abrasive. Natural diamonds form at high pressure high temperature conditions existing between 85 to 125 miles in the earth’s mantle. It takes a diamond 1 to 3 billion years to form beneath the earth. Once formed, a diamond travels to the earth’s surface via streams of molten rock. Throughout this process, natural diamonds acquire inclusions and or flaws within them that give them their own unique “fingerprint”. Diamonds can be purchased in various sizes (carats), shapes, colors, and clarities. Natural diamonds are preferred over enhanced or treated diamonds because of their rarity and individual fingerprint. No two natural diamonds in the world are identical; each one is unique whether it’s because of its color or clarity or both combined. The term “enhanced” may sound like a positive feature, however, any diamond that has been enhanced has been treated and altered from its natural condition to artificially improve its appearance. If you decide to purchase an “enhanced” diamond, find out what kind of treatments have been used and how they might affect the value of the diamond. You should also be concerned with the long term care and appearance these enhancement treatments may have on the diamond, as enhancements sometimes result in discoloration or cracks in the diamond. Enhanced diamonds, unlike high quality natural diamonds are natural diamonds that have had very specific treatments done to them to improve their characteristics, or their natural “flaws”. One type of treatment is laser drilling, which is a process that removes minor inclusions in a diamond to produce a clarity enhanced diamond. This process will typically create lines that resemble tiny trails, which are visible under side-view magnification. The laser may dissipate the imperfection, or chemicals may be injected into the resulting tunnel to bleach away the color. This is a more permanent process than fracture filling. However, it is highly debated whether or not this process damages the integrity of the diamonds, thereby decreasing the value of clarity enhanced diamonds in the long term. Fracture filling is a treatment that adds a glass-like resin material to a natural diamond to close small cracks. Since the filling has the same optical illusion and refraction index as a natural diamond, it’s nearly impossible to detect the “repair” to the flaws. Fracture filling is not a permanent treatment as heat from future repairs, cleanings, and even sunlight can erode the filler or possibly darken its color, making the diamond less valuable as time goes on. One other type of enhancement treatment is called HPHT (high-pressure high-temperature). HPHT is a treatment process that General Electric developed to permanently change the color of a diamond. First used to turn yellowish diamonds into “fancy” colored diamonds, this process is commonly used to turn yellow or brown diamonds into colorless diamonds to be sold at a significantly higher prices. HPHT involves putting a diamond into a pressure chamber and squeezing it at high pressure and high temperature for a short amount of time. Although some feel that this treatment should be considered a standard technique and claim that this process is just finishing the job that nature started. At Sheetal Impex you can get all diamond shape with certification at best factory price. 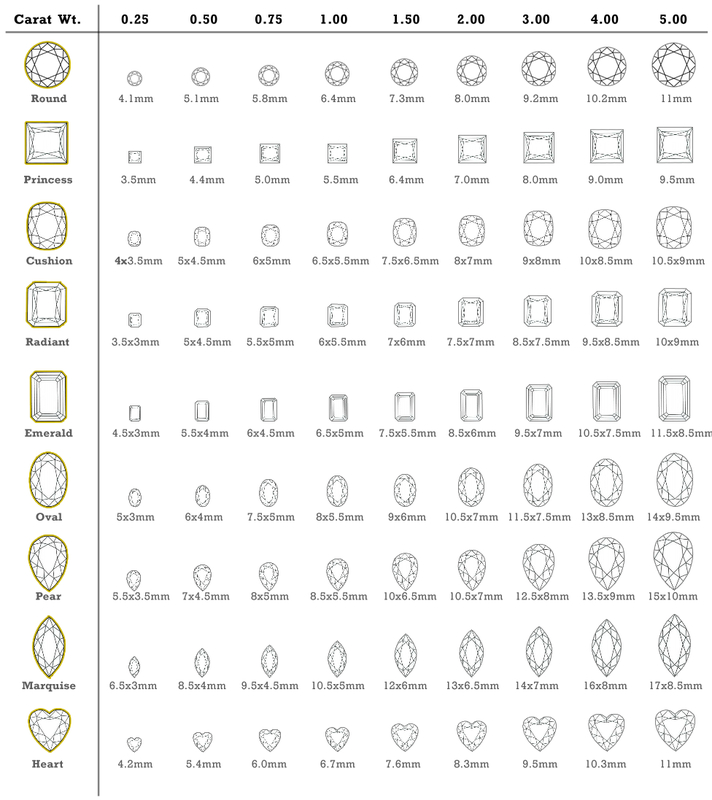 All diamond shapes are very different, unique characteristics determine quality for each shape. Kindly look below chart to learn how to recognize the most beautiful diamond. Round The round brilliant cut diamond is by far the most popular and most researched diamond shape available today. For almost 100 years, diamond cutters have been using advanced theories of light behavior and precise mathematical calculations to optimize the fire and brilliance in a round diamond. In addition to being the most popular and researched shape, a round diamond will typically give you more flexibility in terms of balancing cut, color, and clarity grades while still getting the fire and brilliance you want. Princess After Round, second most popular diamond shape is princess. Its beautiful brilliance and unique cut makes it a favorite for engagement rings. The princess has pointed corners and is traditionally square in shape. When choosing a color grade, consider that while the price of a J-color non-round diamond is exceptional, color may be slightly visible in its corners. Also, princess-cut diamonds can vary greatly in how square or rectangular they are. Emerald What makes this shape different is its pavilion, which is cut with rectangular facets to create a unique optical appearance. Due to its larger, open table, this shape highlights the clarity of a diamond. If you choose an emerald-cut with a lower clarity grade, such as SI, be sure to review the clarity plot on the diamond certificate. Also, emerald-cut diamonds can vary greatly in how rectangular they are. If you'd prefer an emerald cut with a squared outline, look for an Asscher-cut diamond. Asscher This beautifully unique shape is nearly identical to the emerald-cut, except that it is square. Also, this shape has a pavilion that is cut with rectangular facets in the same style as the emerald-cut. If you choose SI-clarity be sure to view the clarity plot on the diamond certificate, because this shape highlights the clarity of the diamond. When choosing a color grade, consider that while the price of a J-color non-round diamond is exceptional, color may be slightly visible in its corners. Marquise The shape of a marquise diamond can maximize carat weight, giving you a much larger-looking diamond. This brilliant-cut diamond looks beautiful set with round or pear-shaped side stones, and the length of the marquise makes fingers appear long and slender. Oval An oval diamond has beautiful brilliance that's similar to a round diamond. Oval diamonds are also very popular as their length can accentuate long, slender fingers. Radiant Trimmed corners are the signature of this diamond, and they help make the radiant-cut a popular and versatile choice for jewelry. A radiant-cut looks equally beautiful set with either baguette or round side-diamonds. Radiant-cut diamonds can vary in their degree of rectangularity. Pear This brilliant-cut diamond is also called a teardrop for its single point and rounded end. The unique look of the pear shape helps make it a popular choice for a variety of diamond jewelry. If you choose an elongated pear shape, the length of the diamond creates a subtle slimming effect on the fingers. Heart The heart is the ultimate symbol of love. The unique look of the heart-shaped diamond helps make it a distinctive choice for a variety of diamond jewelry. When choosing a color grade, consider that while the price of a J-color heart shaped diamond is exceptional, color may be slightly visible in its corners. Cushion This unique shape has been popular for more than a century. Cushion-cut diamonds (also known as "pillow-cut" diamonds) have rounded corners and larger facets to increase their brilliance. These larger facets highlight the diamond's clarity, so if you choose an SI clarity grade, be sure to review the clarity plot on the diamond certificate. Cushion-cut diamonds are available in shapes ranging from square to rectangular. Cut is the most important characteristic Of the 4Cs. The cut of a diamond refers not to its shape, but to the balance of proportion, symmetry and polish achieved by the diamond cutter. The cut is perhaps the most fundamental attribute to consider when it comes to judging a diamond. When a diamond has been correctly cut, the diamond’s ability to reflect and refract light is greatly enhanced. Cut has the greatest influence on a diamond's sparkle. Simply put, the better the cut grade, the more it will sparkle. Even if a diamond has a perfect clarity and color grade, if it has a poor cut, it may appear dull. Gemologists recommend choosing the highest cut grade within your budget. Very Good or better, if possible. Cut to the most exacting standards. On the diamond certificate, graded as "Excellent" or "Ideal" for cut, polish, and symmetry. These diamonds will also show a "hearts and arrows" facet pattern, have the most desirable girdle and culet dimensions, and be proportioned to return the maximum possible light. Exquisite quality cut to create the optimal combination of brilliance and fire. Reflects nearly all light that enters the diamond. Top 3% of diamond quality based on cut. Superior quality cut that reflects nearly as much light as the ideal cut while at a substantially lower cost. Top 15% of diamond quality. Premium quality cut to optimize the size without sacrificing quality or beauty. Reflects most light that enters. Top 25% of diamond quality. Adequate quality cut which reflects some light while maximizing weight. While not as brilliant as a good cut, still a quality diamond. Top 35% of diamond quality. Inadequate quality cut that reflects minimal amount of light. Brilliant Earth does not provide diamonds with cut grades of poor. The international gemological color scale begins with the highest rating of D for colorless, and travels down the alphabet to grade stones with traces of very faint or light yellowish or brownish color. Diamonds with grades D through F are considered "colorless," G through J are considered "near-colorless," K through M are "slightly yellow," and N through Y are referred to as “light yellow or brown.” Brilliant Earth only carries diamonds of superior color, ranged D-J. Clarity is the third most important characteristic Of the 4Cs. It is one of the fundamental attributes of a diamond and it is determined by the size, number position and nature of tiny imperfections called inclusions, or internal characteristics of a stone. Diamonds with the least and smallest inclusions receive the highest clarity grades. These categories are founded upon the ability to see the inclusions under 10 x magnifications. FL/IF to VS2 categories are referred to by diamond experts as "eye clean" and are the categories of the highest clarity. Diamonds classified as “eye-clean” are considered to have no imperfections visible to the naked eye. A flawless diamond is one that doesn’t have any external blemishes or inclusions and is abbreviated as FL. The lowest clarity grade represents a severely included diamond with huge eye visible flaws and is abbreviated as I3. 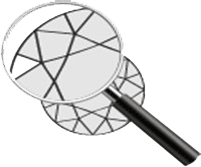 Generally speaking, diamonds with VS2 grades or better are usually eye-clean (inclusions cannot be seen without the aid of a loupe). Stones within the SI1 and SI2 ranges may be eye clean and offer good value for money. However, each individual diamond in the SI ranges must be judged separately and eye cleanliness is subjective to an individual’s eyesight and the kinds of inclusions present. Flawless and Internally Flawless certified diamonds are extremely rare. The difference between the two is that internally flawless diamonds (IF), like the FL, are 100% flawless from the inside but IF diamonds will contain surface graining on the outside. These are not technically considered a flaw, but consist in the only point of differentiation between the extremely rare Flawless and the very rare IF clarity grades. A diamond of this clarity grade would have one tiny inclusion that can only be located using a powerful microscope. This clarity grade guarantees that the inclusion is invisible even under a 10x magnification loupe. These diamonds would only have two tiny inclusions and consistent with the VVS1 grading only a microscope would identify inclusions. However, expert graders may be able to locate a VVS2 inclusion using a 10x magnification loupe but VVS2 still offer a very high level of clarity and are less expensive price than a VVS1. VS1 diamonds have one small or a few very tiny inclusions that are not visible to the unaided eye (eye clean) and can only be located, often with difficulty, using a 10x magnification loupe. VS1 clarity diamonds are an excellent choice as they are still eye-clean whilst being less expensive than the VVS categories. VS2 clarity diamonds are an extremely popular as it is the last grade which virtually guarantees an eye clean diamond. In 95% of cases VS2 diamonds are eye clean. 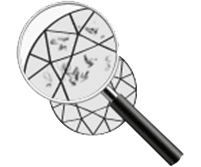 SI1 graded diamonds have two medium or many small inclusions that will almost always be visible to the unaided eye and are easy to locate using a 10x magnification loupe. Depending on how well placed and lightly colored the inclusions are the stones can appear almost eye clean and therefore SI1 clarity diamonds can offer exceptional value for those wishing to maximize their budget. Slightly included 2. Inclusions are visible under 10x magnification and may be visible with unaided eye. More inclusions than SI1. Included 1-3. Inclusions are visible to the unaided eye. Not carried by Brilliant Earth. Larger diamonds are much more valuable because they are discovered in nature much less frequently than small ones. Diamond prices actually rise exponentially with carat weight rather than linearly. For example, a 1.00 ct. diamond of a given quality is always valued higher than two 0.50 ct. diamonds of the same quality. In fact, a general rule of thumb is that a diamond of double the weight costs around four times more. “Under-sizes” are diamonds that weigh just below a cutoff weight. While fewer exist, they may represent an enhanced value. They are more difficult to find as a diamond cutter will choose to sacrifice beauty in order to cut a diamond with a weight that reaches one of the cutoff weights, or “magic numbers” as they are known in the industry. The cutoff weights are 0.50 ct., 0.75 ct., 0.90 ct., 1.00 ct., 1.50 ct., and 2.00 ct.
Total carat weight (t.c.w.) is a phrase that represents the total weight of all diamonds. Dimensions play an important role in the appearance of a diamond. In addition to the carat weight, the distance across the top of the diamond must also be taken into consideration. A common misconception is that half a carat is half the size of one carat. In fact, a half carat is half the weight of one carat, but the millimetre difference on a round stone is only 1.35mm. The average measurement for a 0.50ct stone is 5.00mm, while the average 1.00ct stone measures at 6.35mm. While carat weight may indicate a diamond’s size, the shape and cut of a stone also play a large part in determining how large or small the stone appears. An elongated shape such as the Marquise cut may appear larger than a rounded shape such as the round brilliant even if the two stones share the same weight. Only one in every 10,000 diamonds possesses natural color and is referred to as a colored diamond. For this reason, colored diamonds are purchased almost exclusively for the intensity and distribution of the diamond's color. Criteria considered when purchasing a white or colorless diamond, such as cut proportions and clarity, are less important when purchasing a colored diamond. The information below will help you understand colored diamonds to determine the diamond that's right for you. 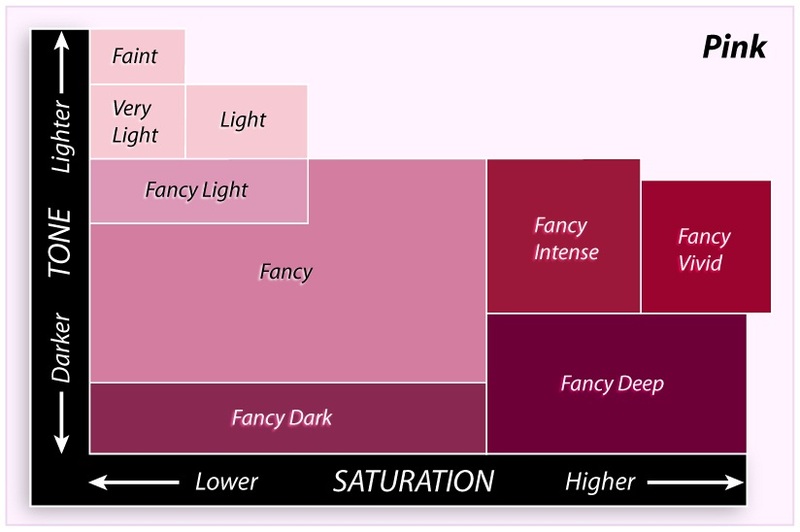 “Color intensity, the deepness or richness of color, is the most important consideration when purchasing a colored diamond. The more intense the color, the rarer and more valuable the diamond will be.